I've decided to drop a brief guide on how to complete ROSE 10th Anniversary Event Quest. →　Head to the center of the map. → Go and kill Jelly beans of any types. Ancient Hammers can be found from the following red dot spots. Repeat this until you get the hammers. - Use the quest item Magical Rubber Duckies to prank the Moldies. 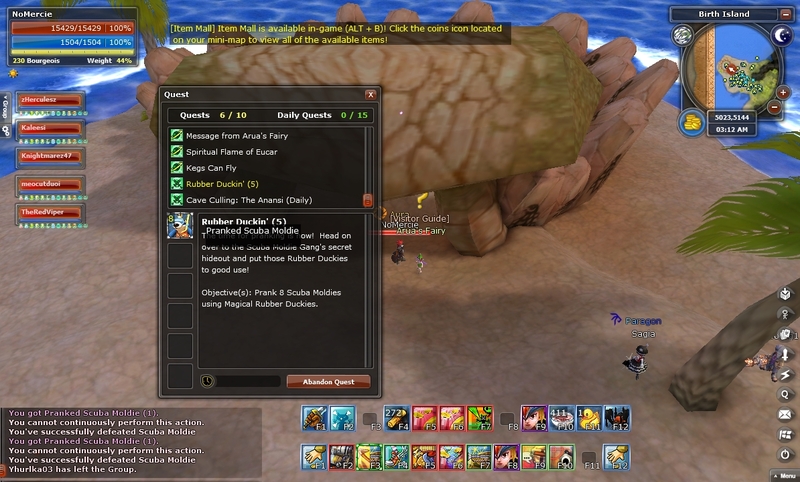 Obtain Rubber Duckies, dropped from monsters on Birth Island to exchange to several items. 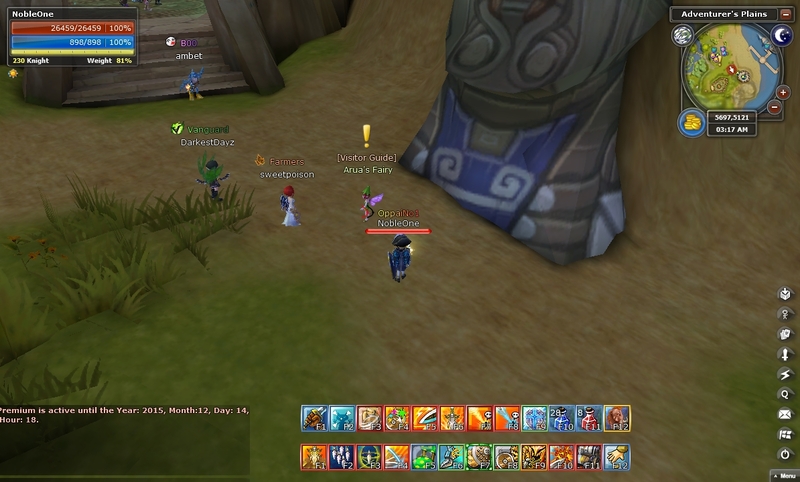 Players will spawn in the location corresponding to their level. 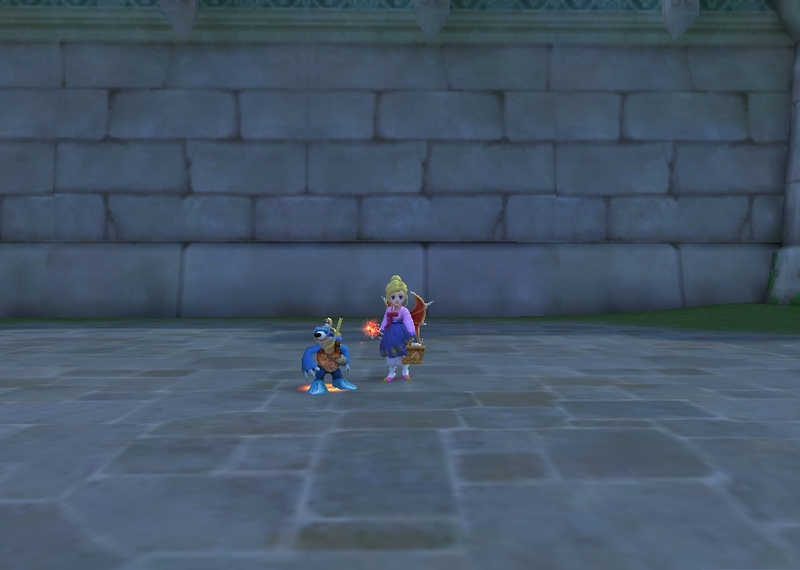 -> So a level 230 player will have less chance to get Rubby Duck at lower areas. You shouldn't waste time killing in lower level areas. - Part (2) usually take more than 30 minutes to get enough 10 Jams, don't lose your patience. But any type of jelly beans or choropies will give you the proof. - Part (3) Ancient Hammers are usually on the left side of Arua's Fairy, behind her back. Since the area is invisible, let us drop zulie 1 by 1 to map the area. And it's not hard, at all. 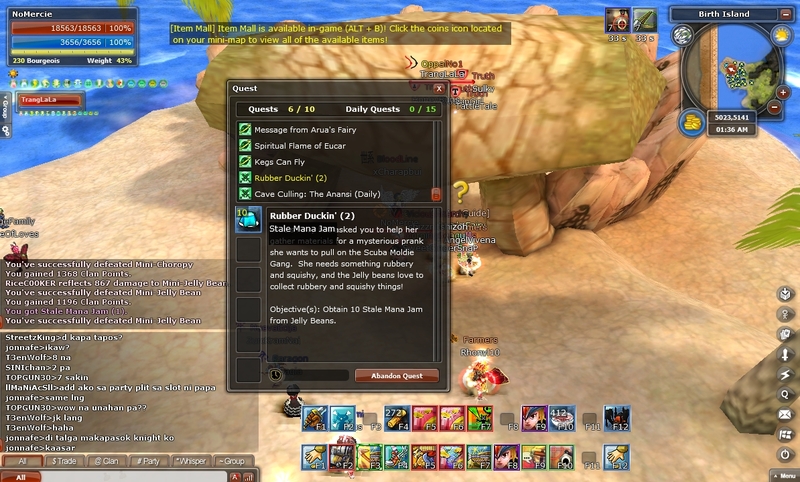 - Part (5), you use the quest item: Magical Rubber Duckies, located in Inventory > Consume to prank the Scuba Moldie. DO NOT kill them with your weapons or bare-handed. Okay everyone, I can see that there are still issues with the duckies being obtained. We'll be taking a look in to adjusting the rates again to make it more enjoyable to obtain because, yes, we did set a high goal for you all to obtain. To be perfectly honest, we didn't expect this big of a participation response from the community all at once! We'll be increasing the current method of drop rates to almost double their current rate. 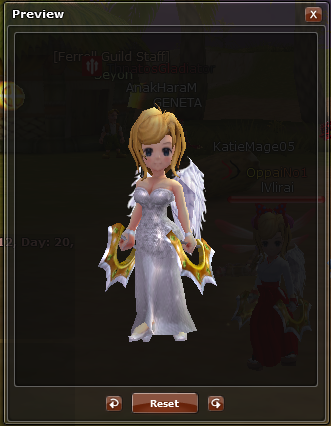 The Anniversary Costume from the event quest is character locked as soon as you get it. Edited by thetrangdamvn, 09 December 2017 - 07:43 PM. 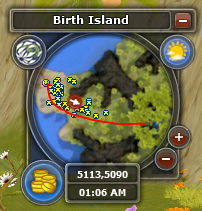 Din't know the island was shaped as star. No wonder I got lost after the quest. 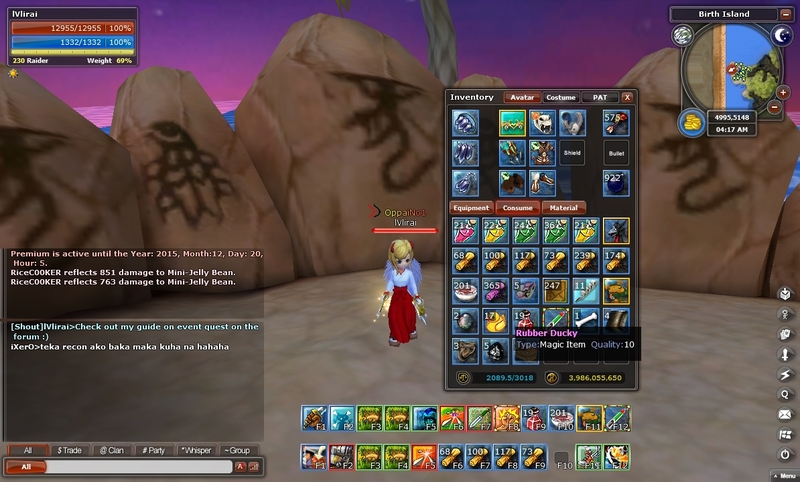 It took me more than 30 minutes on gunbourg and morea than 1 hour on katar raider to get those Jams. My cleric even was stuck at 9 Jams for 20 minutes until she got the last one. 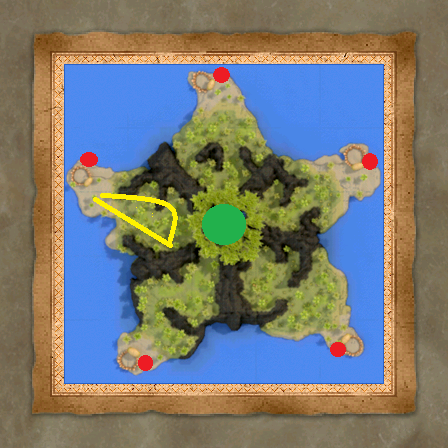 Well the map is in shape of a star, there are 5 different spawns for different level range. 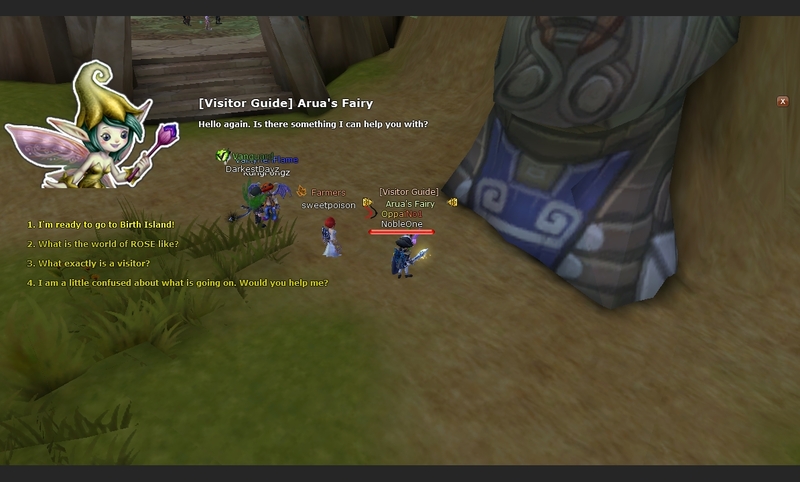 a tip is when returning quest, remove ur ALL GEAR, then return quest to fairy so u dont get bugged! 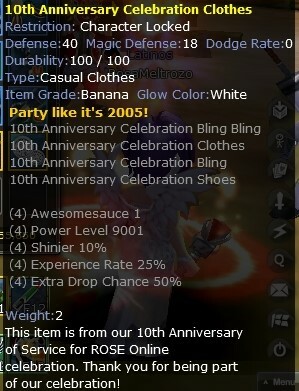 The Anniversary set bonus should be as a costume bonus, this is a bug and will be fixed today. can you explain what some of those stats means? as costume.. the spin costumes are better bonus. so .. i think.. if its getting change to costume bonus...its not worth the time doing the quest. or will this bonus stay permanent ?? btw.. what bonus on the acc set? and.. will it be account or char bound/locked??? Not sure if there are others besides these three but if I find any, i will update here. Thank you for he guide, my little cleric is nearly done. My mainchar and the other chars will follow. I'm not certain but I think you can get proofs from grey monsters as well, but at a very low chance. I suggest you join a party at the first spawn to challenge this quest. Only the developers know the exact info so I could only provide you my assumptions. Any idea on whats the set effect of the accessory on the side quest? And are those mounts tradeable or character locked too? I would like to commend this post. Such a helpful tool. Thank you very much. Would you like me to add this to the wiki? Or would you prefer to do it yourself? Yes, please, if you don't mind. I don't know how to use the ROSE wiki so that would be much of help. Anyway, it's not gonna happen in the next years so I'm pretty doubtful if it'll be any helpful. I've added your screenshots to the #1 post, credited to HoneyBuns. Edited by thetrangdamvn, 10 December 2015 - 12:22 AM.